Kelty’s got your back during your next chilly night in the backcountry. With the Women’s Sine 20° DriDown™ Sleeping Bag, you get the best of both worlds of comfort and light on weight. The Arc Zipper System is there to provide a natural arm motion when opening the bag and for dual venting. The water-resistant 800 fill DriDown™ stays drier, lofts better, and dries faster. Part of the Built for Women collection, this Sine sleeping bag has added down for added warmth. On warmer nights, leave unzipped and use like a blanket. 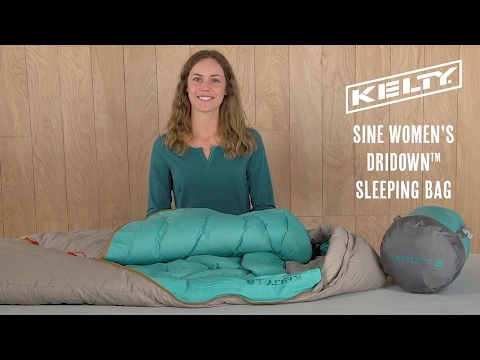 No more bags under the eyes while using the Kelty Built Sine Sleeping Bag on your next adventure!